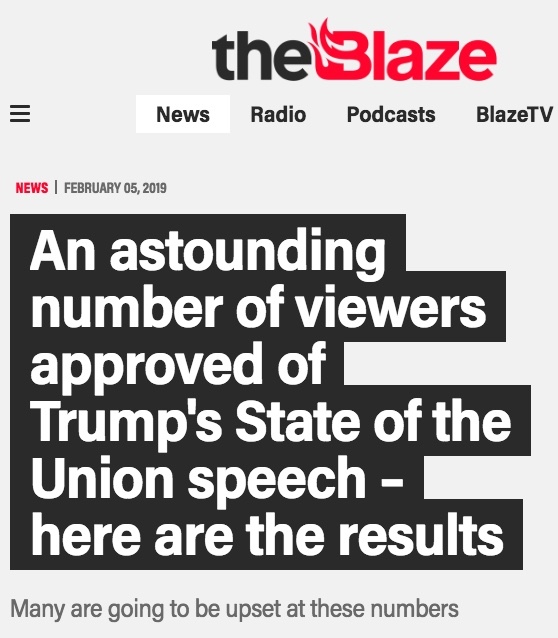 Some on the right will tell you that the instant-poll numbers for President Trump's State of the Union address were extraordinary. But let's compare those numbers with the numbers for the State of the Union address that began Barack Obama's third year in office. Like Trump, he'd just suffered significant congressional losses for his party in the midterms. So how'd Obama do in 2011? 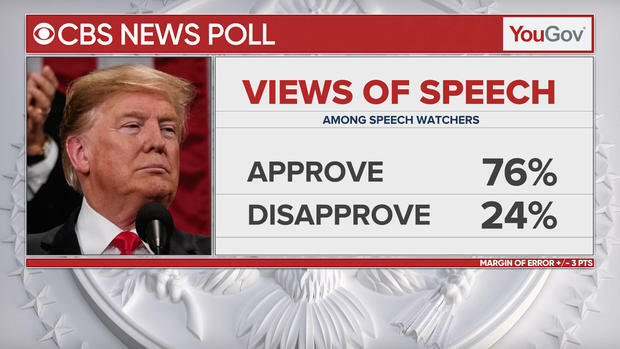 A CNN poll conducted by ssrs following President Trump's State of the Union address Tuesday night found that 59% of viewers had a very positive reaction to the speech, 17% had a somewhat positive reaction and 23% had a negative reaction. 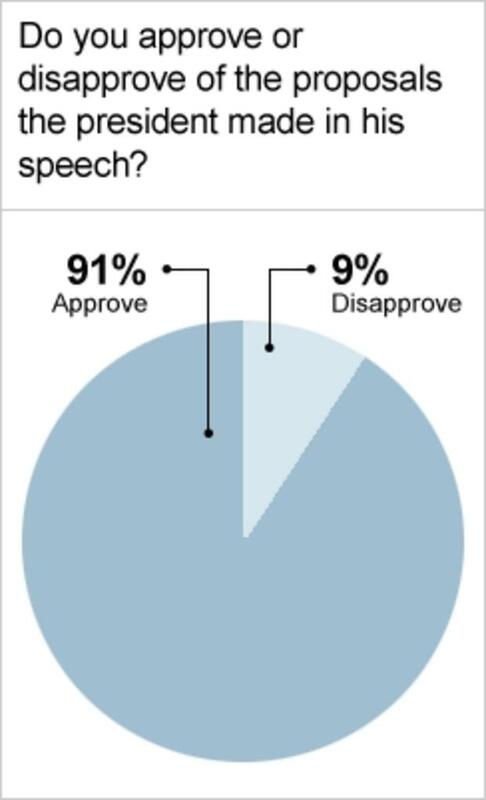 That's a total of 76% approval. How did Obama do at CNN in 2011? CNN ... ran an instant poll with its Opinion Research partner. 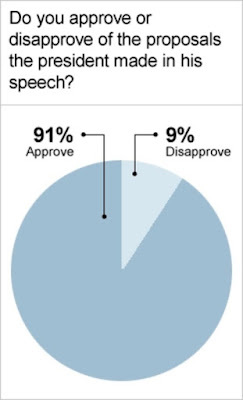 They found that 52 percent of those who had watched the speech had a "very positive" reaction and an additional 32 percent had an "somewhat positive" response. An overall positive mark of 84 percent ain't bad. 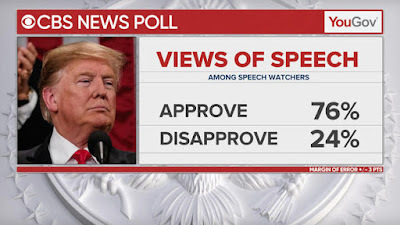 President Donald Trump's State of the Union address drew a deeply Republican audience, which largely gave the President strong reviews for his address from the House chamber, according to a CNN poll conducted by SSRS immediately following the speech. 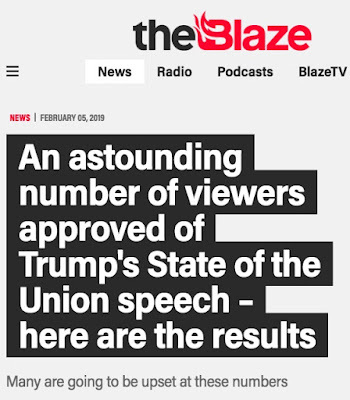 ... the audience had the largest partisan tilt measured in any CNN instant poll following a presidential address to Congress dating back to 2001 -- viewers were roughly 17 points more likely than the general public to identify as Republicans, and were largely fans of the President. So don't take those numbers too seriously.